Emirates, Etihad, flydubai and Air Arabia will be performing a flypast today (December 2) over the UAE as a centrepiece performance to celebrate the UAE’s 47th National Day and the Year of Zayed. All four UAE carriers will be taking their flagship aircraft to the skies from 1pm (local time) and will be flying with the Al Fursan aerobatic display team. 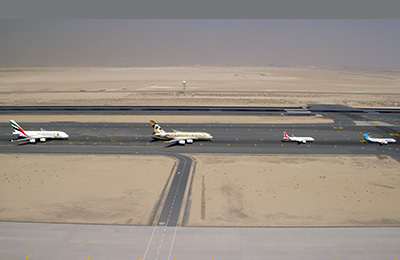 Emirates has encouraged the public to take photos and videos however please remember not to put the formation at risk by using drones and to comply with all GCAA rules and ‘No Fly Zones’ for Unmanned Aircraft/Drones.